Arthritis means inflammation of a joint. There are over a hundred different forms of arthritis which can be subdivided into the following three major categories: Rheumatoid Arthritis, Osteoarthritis, and Gout. However, they all have the following common symptoms at the joint: redness, stiffness, swelling, and pain. Osteoarthritis can affect any joint, but commonly occurs in the hips, knees, feet and spine. Gout symptoms typically occur in lower limbs and first target the big toes. Pain can become so severe that even the weight of socks or bed sheets could be unbearable. Arthritis can affect both women and men of almost all age groups and of all races. However, women are three times more vulnerable to arthritis than men. About 80 percent of patients of Rheumatoid Arthritis are between the ages of 35 and 50 but 65 to 85 percent of patients with Osteoarthritis are over the age of 65. For more information about Gout, please see our Gout Home Remedies page. Arthritis is usually a result of damage to or destruction of joint parts. The causes of arthritis are quite varied, but the most common are: genetics, age, infections, deficiency of organic sodium and minerals, trauma, mental or physical strain, obesity, cold weather, or excessive use of rich foods. Different forms of arthritis are caused by damage to different parts of a joint. Rheumatoid Arthritis usually sets off when the synovial membrane (which helps in the smooth movement of our joints) becomes inflamed and stiff. Ballerinas, weight lifters, construction workers and dancers are often the victims of Rheumatoid Arthritis due to the high strain on the joints in these professions. Osteoarthritis involves damage and wear-and-tear to the cartilage (which is the elastic material that covers the end of each bone). Usually age and genetics are big factors in the break down of cartilage. Doctors believe that almost everyone over the age of sixty suffer from Osteoarthritis to some extent. Gout is caused by the abnormal production of uric acid. When the body produces abnormally large amounts of uric acid, it is deposited as needle-like crystals in the joints instead of being excreted out of the body through urine. These crystals cause friction and severe pain when the joint is moved. Flax Seed Oil's main content, Omega-3 fats, help our body produce Prostaglandins Series 1 and 3, which are anti-inflammatory hormone-like molecules. These molecules help reduce the inflammation associated with Rheumatoid Arthritis and Osteoarthritis. Therefore, Flax Seed is often believed to be a natural cure for arthritis. Simply take one tablespoon of Flax Seed 3 times daily. For breakfast, add Flax Seeds to your cereal, muffin, or bread, or mix ground Flax Seeds into chocolate/strawberry milk or orange juice. For lunch and dinner, Flax Seeds can be ground and sprinkled directly onto almost any meal. Flax Seed Oil can also be used instead of the raw seeds. Take 1 teaspoon of Flax Seed Oil 3 times daily. The oil can be added to food as well. Continue this remedy for at least one month to cure the primary forms of arthritis. Epsom Salt is high in magnesium. Magnesium is important for bone growth and regulates the body's pH level. A deficiency of magnesium lowers the ability of the body to absorb and use calcium and phosphorus, which are the two primary bone-building minerals. The following home remedies using Epsom Salt can be used to reduce the symptoms associated with arthritis. NOTE: If you have heart or kidney disease, consult your doctor before using these remedies. Excessive magnesium can cause diarrhea, nausea, cramps, muscle weakness, and heart abnormalities. Mix 3 tablespoons of fresh lemon juice and 3 tablespoons of Epsom Salt in one pint of warm water and take one teaspoon in the morning and one at night. Add three cups of Epsom Salt in hot bath water and soak in it. The magnesium in the salt is absorbed by the body and it soothes and relaxes the stiff joints and muscles. A tea made from Alfalfa, especially from its seeds, has shown beneficial results in the treatment of arthritis. Simply add one teaspoon of Alfalfa seeds to one cup of boiling water. Take three to four cups of this tea daily for approximately two weeks to reduce inflammation. Another option is to regularly take alfalfa capsules or add a small amount of alfalfa to your diet. Recent studies have shown that Cinnamon is a remarkable natural treatment for arthritis pain. Simply add half a teaspoon of cinnamon powder to one tablespoon of honey every morning before breakfast. Repeat this daily for one month. Results should be noticeable within the first week. Research has shown that consuming a small amount of Cod Liver Oil each day can potentially slow down cartilage degeneration, which is one of the main symptoms of osteoarthritis. Additionally, the omega-3 acids contained in the oil can help reduce the pain and inflammation associated with arthritis. Therefore, simply consuming 1 to 2 teaspoons of cod liver oil daily could be very beneficial. Turmeric, a common spice in Indian cuisine, has been used to reduce inflammation for hundreds of years in Ayurvedic medicine. Not surprisingly, by taking 500mg to 1000mg Turmeric capsules three times per day, many individuals have reported significant relief from osteoarthritis pain. Similar to Turmeric, the common kitchen spice Ginger has been found to be an effective natural anti-inflammatory. Therefore, a great remedy for Arthritis is to peel and slice 1/2 inch of fresh ginger and take it with each meal. Eliminate most - if not all - of your arthritis in just one month! 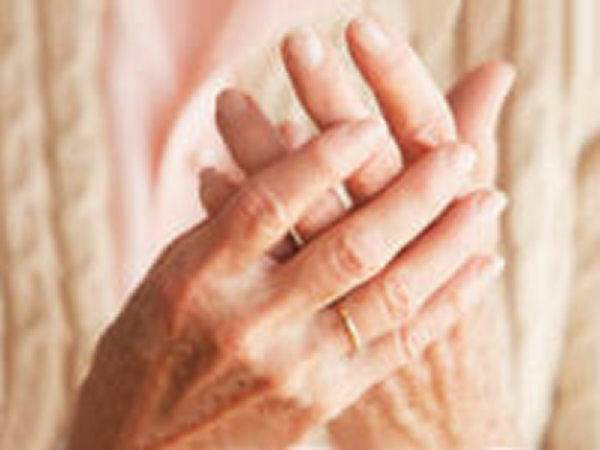 Learn how to treat this common form of arthritis using natural approaches. All this arthritis is caused by processed food, sugar, and toxins in our bodies. To avoid it, eat mostly green leafy salad, homemade salad dressings, raw foods, and broth made by hormone-free meats. Ms. Khan, Lemon juice water should not cause any pain. I drink it everyday in the morning, it helps lose weight and keeps me feeling good throughout the day. Please consult your doctor to see what is causing pain. Hope you feel better. I have recently started drinking lemon juice mixed in hot water and I feel that my whole body is in pain. I want to know is it with drinking lemon or it's just me over thinking? Please let me know. I have Psoriatic Arthritis and hoping to ease it with a home remedy. Just like your mom no cream works for me. They are all full of steroids anyway. Could you kindly give me the names of 2-3 creams that your mom uses? My country trades heavily with India. Is Neem cream good? We have the Himalaya brand. Much of our generic medicines come from India. Thank you. I had a trigger thumb for about a month that would be stiffer in the morning when I would wake up and would get better during the day. For the last two days I have been drinking juice of half of a lemon mixed in a glass of cold water in the morning and one at night (because for some unknown reason I've begun to really like it), and I've noticed that my trigger thumb is normal in the morning! This is the only change I have made in the last two days. Please try it and I hope it helps you too. Gelatin is extremely beneficial for many people suffering from joint pain. Unflavoured one is really the best home remedy for arthritis. I deal with body-wide Osteoarthritis and use a lot of topical meds and supplements but recently I'm adding drops of Oil of Oregano to some of my solutions. One can add its few drops to Coconut Oil, Castor Oil or Olive Oil or to any solutions one makes up. It's good! Please let me know when you do find out. My sister-in-law suffers the same thing and they seem to be along the torso mostly but kind of disfiguring. I am from India. I think daily use of turmeric and flax seeds can benefit people with psoriasis. 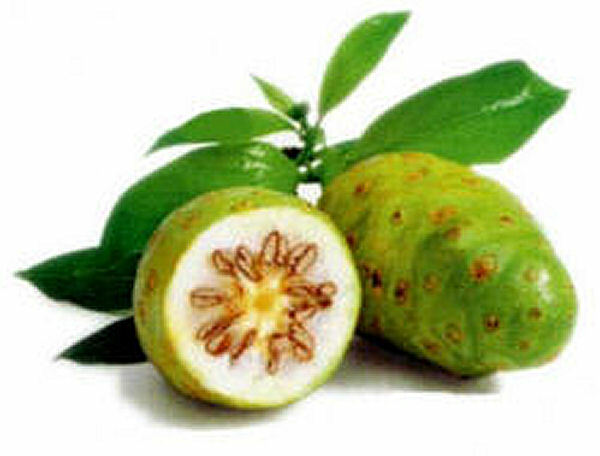 These two are also beneficial in several health conditions such as arthritis, cancer and many more. I appreciate you sharing this article. I have been very concerned about arthritis lately because both my parents have it and I want to know how I can avoid it. I never knew that women are three times more vulnerable to getting arthritis than men and that risk of arthritis can be minimized by avoiding mental or physical strain, obesity, and excessive use of fast foods.